Marin Shkreli, known by the moniker “Pharma Bro” and once labeled “The Most Hated Man in America,” will reportedly be forced to hand over two of his most prized possessions, which he acquired through his evil empire of price-inflated pharmaceuticals: a one-of-a-kind copy of Once Upon a Time in Shaolin by Wu-Tang Clan and Lil Wayne’s unreleased Tha Carter V.
The forfeitures of Shkreli’s rare hip-hop keepsakes come after the disgraced pharmaceutical executive was sentenced to seven years in prison, following a guilty conviction of securities fraud from his company Vyera Pharmaceuticals (formerly Turing Pharmaceuticals). Court documents show that Shkreli owes $7,360,450.00; he will also be required to relinquish a Pablo Picasso painting, which he also purchased from inflating prices for drugs used to treat the HIV/AIDS virus. Shkreli attained his fortune (and his infamous reputation) in September of 2015, when his company upped the price of Daraprim from $13.50 to $750 a tablet. Daraprim, which is the trade name for Pyrimethamine, is commonly used to treat toxoplasmosis – a parasitic disease seen in patients suffering from HIV and AIDS. Following the price inflation, outrage ensued…unsurprisingly. The bizarre, single-copy-release was Wu-Tang’s response to the current state of streaming culture in the music industry. Although in the purchasing agreement, the legendary New York hip-hop collective stated that the album could be streamed by the purchaser during listening parties, but not commercially sold until the year 2103. During a livestreamed interview, Shkreli allegedly streamed portions of Once Upon a Time in Shaolin, while he smugly answered questions and solidified his label of “Pharma Bro” by drinking a beer, as seen in the clip below. But the recent court decision could see the album officially come to the public, or at least, relinquished from its tyrannical owner. It’s also a strange twist of fate that the United States Attorney General holds the fate of two rap world unicorns, when in the past, Jeff Sessions has crusaded against movements from hip-hop heavyweights: mass incarceration (Jay-Z) and the nationwide legalization of marijuana (Snoop Dogg and Wiz Khalifa). 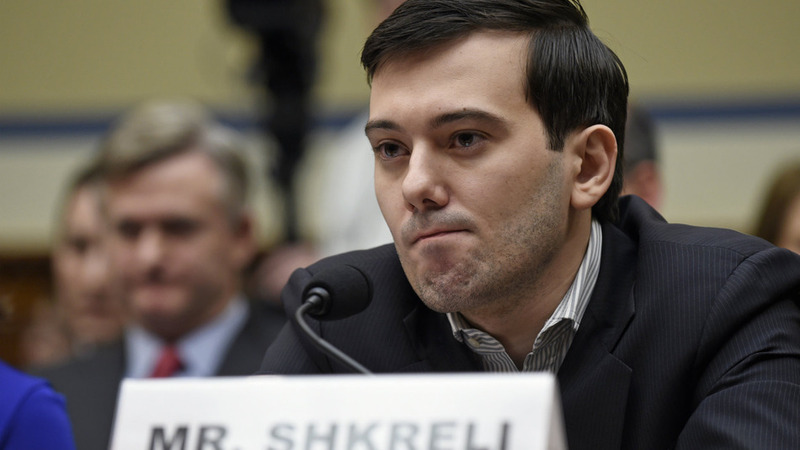 Shkreli has 60 days to appeal the Department of Justice’s decision.